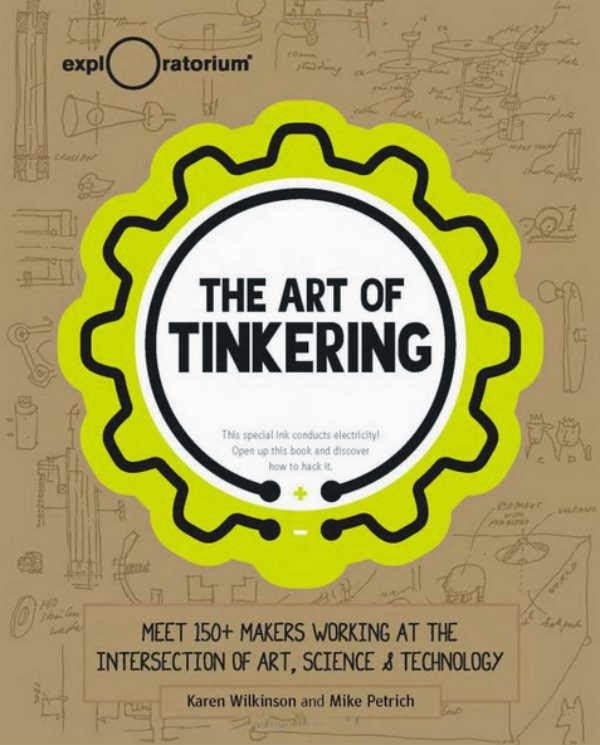 The folks from the wonderful Tinkering Studio at the Exploratorium in San Fransisco have come out with this book. It looks great! The Art of Tinkering is an unprecedented celebration of what it means to tinker: to take things apart, explore tools and materials, and build wondrous, wild art that’s part science and part technology. Join 150+ makers as they share the stories behind their beautiful and bold work—and use the special conductive ink on the cover to do some tinkering yourself! In the book, they have profiles of important makers (any of my heroes, in fact) as well as inspirational information on how to start tinkering yourself. Here here you can get The Art of Tinkering.